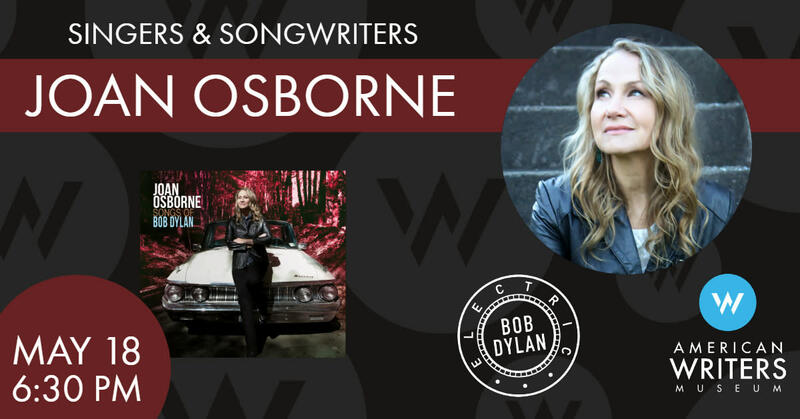 Critically acclaimed singer-songwriter Joan Osborne discusses songwriting and her recent release "Songs of Bob Dylan," an album of Dylan covers, with 93XRT radio host Terri Hemmert. This program is presented in conjunction with our special exhibit Bob Dylan: Electric, and continues our popular Singers & Songwriters series, which takes visitors to the intersection of music, poetry, literature, and beyond. With "Songs of Bob Dylan," Osborne unleashes her sizable gifts as a vocalist and interpreter upon Dylan's celebrated canon. With performances honed by two residencies at New York City's Café Carlyle in 2016 and 2017, Osborne winds her supple, soulful voice around Dylan's poetic, evocative lyrics, etching gleaming new facets in them along the way. The album includes Dylan's beloved standards from the '60s and '70s, such as "Masters of War," "Highway 61 Revisited," and "Tangled Up In Blue" just to name a few. Osborne also covers some of her favorites from Dylan's later albums, including "Dark Eyes," "Ring Them Bells." and "High Water."